From 1904 until 1914, Sergei and Elisabeth Bortkiewicz lived in Berlin. Bortkiewicz started here his career as composer. The couple lived at the Steglitzerstrasse 31 in Berlin with their scottish sheep dog Bobi. 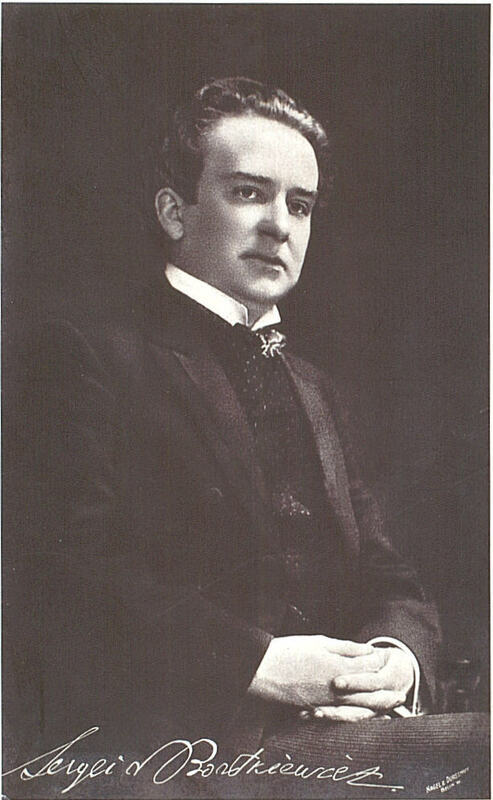 Bortkiewicz gave his first piano recitals in Berlin, Leipzig, Munich and Vienna. His piano concerto opus 1 (destroyed) was premiered on April 2, 1906 in Berlin. He became friends with the opera diva Emmy Destinn (1878-1930) and went on concert tours with her to all the larger cities of Germany. He also appeared in Russia, Paris and Italy. In Berlin he gave private lessons, except for one year when he was engaged as a teacher in the Klindworth-Scharwenka Conservatory, where he was to meet his lifelong friend, the Dutch pianist Hugo van Dalen (1888-1967). Hugo van Dalen was born on April 16, 1888 in Dordrecht. He was the son of Jan Leendert van Dalen, archivist of the city of Dordrecht. He received his first piano lessons from J. Gijs de Vries. At age of 14 he started to study at the Conservatory of Music in Amsterdam, where he was taught by Johan Wijsman (1872-1913), Anton Tierie (1870-1938), Bernard Zweers (1854-1924), Daniël de Lange (1841-1918), Jan Willem Kersbergen (1857-1937) en Julius Röntgen (1855-1932). After completion of his study in Amsterdam in 1907 Röntgen advised Van Dalen to continue his education with Ferruccio Busoni (1866-1924) in Berlin, which he did for a period of 7 years. Meanwhile he was appointed as a teacher at the Klindworth-Scharwenka Conservatory in Berlin, were he met Sergei Bortkiewicz. After returning to the Netherlands at the start of WWI Van Dalen was appointed as a teacher at the Royal Conservatory of Music in The Hague, where he remained until his retirement. 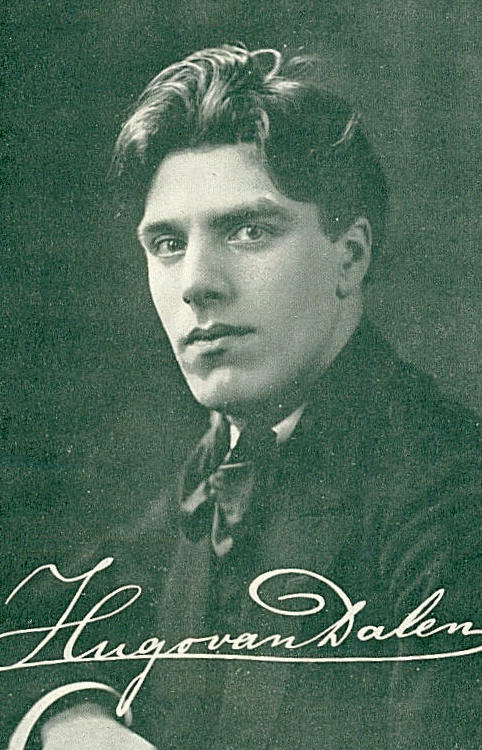 In 1920 he won the first prize at the Concours des Virtuoses in Paris, playing Van Beethoven’s fifth piano concerto under the baton of Gabriel Pierné with the Orchestre Colonne. Bortkiewicz first published piano cycle were the Quatre Morceaux opus 3, being written shortly after he decided to devote himself seriously to composition. These works show his formal mastery. Especially interesting is the Etude (no. 2), dedicated to princess Maria von der Osten-Sacken-Dolgoruky and the Gavotte Caprice, dedicated to the composers’ mother. Van Dalen premiered Bortkiewicz’s pianoconcerto no. 1 opus 16 in November 1913 in Berlin with the Blüthner Orchestra conducted by the composer.